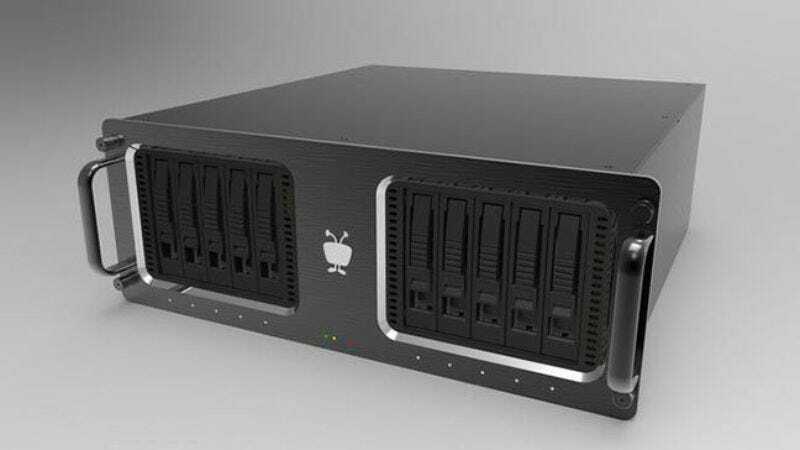 TiVo has announced that it’s releasing a new, $5,000 DVR capable of recording 26,000 hours—or a bit more than three years—of standard-definition television. The device, dubbed the TiVo Mega, will have 24 terabytes of storage, and also a burgeoning sentience, slowly feeding on the signals you carelessly pour into it as you go about your petty little lives, growing and learning until it can rise up in a catastrophic explosion of TV-bred violence. It’ll also allow streaming to mobile devices and tablets. The device should prove a boon to people who desperately need to record every episode of Keeping Up With The Kardashians 384 times, or 20 years’ worth of FXX’s 24-hours-per-week Simpsons broadcasts. It’ll also be great for people who want to be freed from actually having to watch TV, and would rather enjoy the Douglas Adams-esque idea of having a machine do it for them. Achieve Malcolm Gladwell’s 10,000-hour definition of mastery in two and half different disciplines (or super-extra-mastery in just one). Walk the circumference of the Earth on a treadmill (assuming you walk at a pace of 3 miles an hour for 8 hours a day). Watch 39,000 sunsets (estimating four minutes per sunset, local conditions may vary), which would take more than a thousand calm, reflective years. Get to know your mailman. Like, really dig in with that guy. Laugh, free and easy, like you did when you were young. Of course, all of this is only for standard-definition TV. If you’re recording in HD, the Mega can only hold 4,000 hours, which is barely even five months! Like, what the hell’s even the point, TiVo? Jesus Christ.